Happy Monday, friends! Today, I had a training where we talked to other teachers about our 1:1 Chromebook classrooms and shared sites that worked for us. I thought it might be beneficial to share with y'all that have a class set of Chromebooks, too! Last year, the entire 5th grade in our district received Chromebooks for every student. Each student was given their own Chromebook and bag. The Chromebook went with them to each class, but it did not go home. The 5th grade teachers went to monthly trainings and were required to come back and teach lessons. This year, our 2nd, 3rd, 4th, and 6th grades went through the same thing and those teachers came to the 5th grade teachers to see our model lessons. This process worked really well and I learned SO MUCH! This is an online flyer generator. It's great for teaching vocabulary, pre reading strategies, grammar, etc. I blogged about how I used it for vocabulary here. You can see some of my smores that I've created and used this year below. 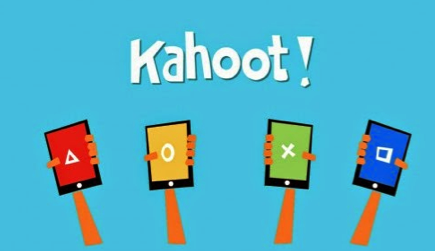 Nearpod is a site that allows you to show the kids teacher led presentations. The kids join via a session code that you can write on the board. Their screen only moves to the next slide when YOU move it, so it's great for making kids stay with you and not jump ahead. 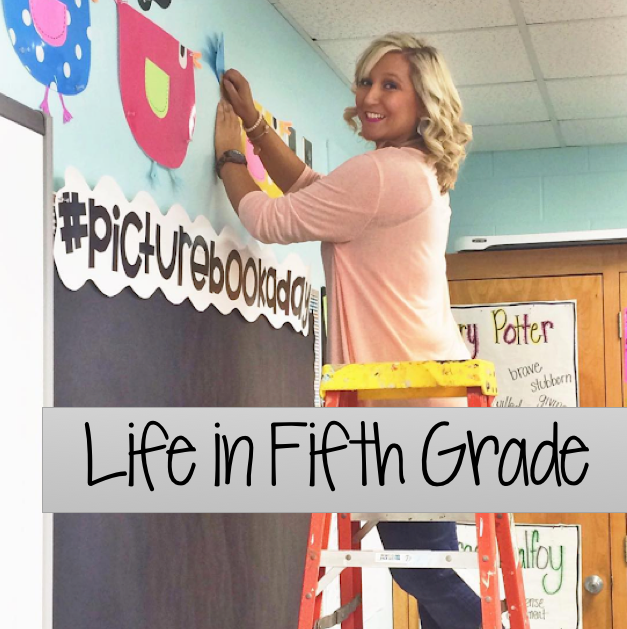 You can read about how I used this site during a figurative language lesson here. Animated video presentations. I created a few for introducing idioms at the beginning of the year. The kids have also created their own for grammar skills and other examples of figurative language elements. The 4th grade teacher showed an example of one of her kids creating one for prepositional phrases and it was really neat! You can check out my examples here. My favorite! And my kids! Allows students to upload a Google presentation and record themselves reading and discussing the presentation. The students create their own account using their Google account and they will email you the video when they are finished. We will use this at the end of a lesson when all the groups have completed their presentation. 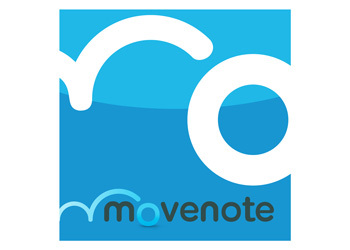 Perfect for organizing documents, presentations, spreadsheets from Google Drive and for creating assignments for students. We use it at the beginning of every classroom for warm ups. Docs- like Microsoft Word. We are using this for our Reading Response journals next year. If you assign it through Google Classroom, it will make a copy for each student. I create language arts and spelling tests through Google Drive and share them with the kids each week. Saves so much copying! 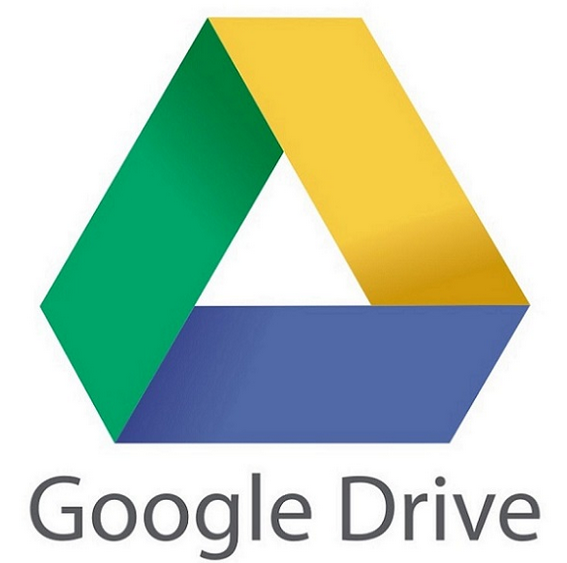 Since each student has their own Google account, we use email all the time. Sometimes, as a warm up, students will email me their Status of the Class. On Fridays, they email me their Weekly Reflection, telling me one thing they learned in our class that week and one thing they enjoyed. I email them assignments when I’m out sick and have a sub. I also email the links to certain sites that we are doing so they don’t have to type long, complicated URLs. ***When all the kids email you, it will flood your inbox! I create a folder for each of my classes and move the emails to the appropriate folder. Another fav! Great for quick assessments to see what the kids know (or don’t know!). They are always engaged with this because of the game aspect. Plus, the music is catchy! I thought this was too young for 5th grade, but I was wrong! 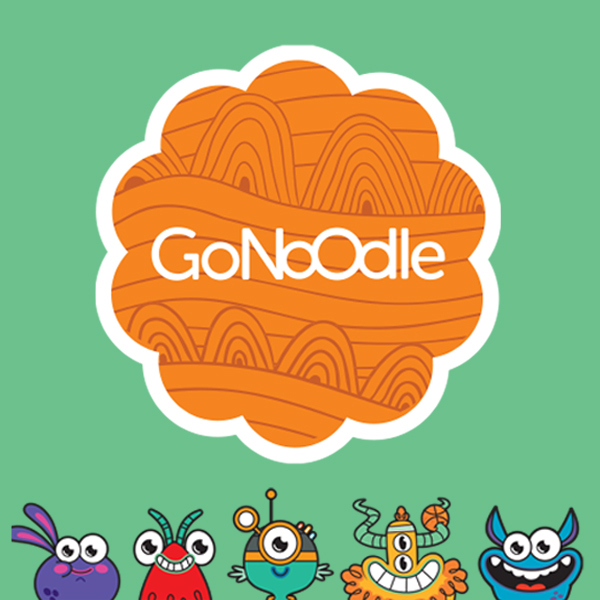 If the kids earn it, we watch one video from Go Noodle. Each class gets to pick a mascot and your mascot grows with each video you watch. My kids LOVE Koo Koo Kangaroo! A video creator. Students upload pictures to it and it creates a video out of them. We used this for characterizations profiles from a novel study. They had to find 5 images that related to their character and create a video from it. The watermark won’t go away unless you upgrade, so that’s a downside. Here's an example of the characterization profiles from our novel study last year on The Westing Game. This is what we used at the beginning of a lesson to provide a quick review or generate a discussion. Great to use as a beginning or after strategy. You create the poll and email the link to it to your students. They answer the poll question and you display the results on the board. Great for opening discussions or end of the lesson reflections. * Let the kids know that you CAN and WILL check their search history. I haven't had a lot of problems with kids getting on sites that they weren't suppose to, but unfortunately I can't say it's never happened. Checking the history is easy too...just click in the top right hand corner. * Invest in carrying bags. Our technology head ordered bags for each student so they could carry them from class to class. This prevents dropping the Chromebooks! *Put names on the Chromebooks, not numbers. Last year when we first got them, we numbered the Chromebooks instead of putting their names on them. Then when it got time to give them to the 6th grade teachers, the numbers didn't match with the new homerooms. This year we realized it would work better to put their name on the Chromebook and the bags so the transition to new grades over the summer will be easier! What a useful blog post! We are going 1:1 Chrome Books too. Our current 4th graders will get their Chrome Books this week. They actually get to take them home for the summer. We have to start using them as we wind the school year. Our incoming fourth graders next year will get them during the first week of school. Exciting and terrifying all in one. Thanks for sharing! Thank you for your post. My school is getting ready to pilot 1:1 with one class in each of the of 3rd, 4th, and 5th grades. Your links were very helpful and I can't wait to start using them with my students. Thanks for your post and your blog! So helpful - I love the idea of 1:1 chromebook implementation and I believe that our district will eventually move to this model. 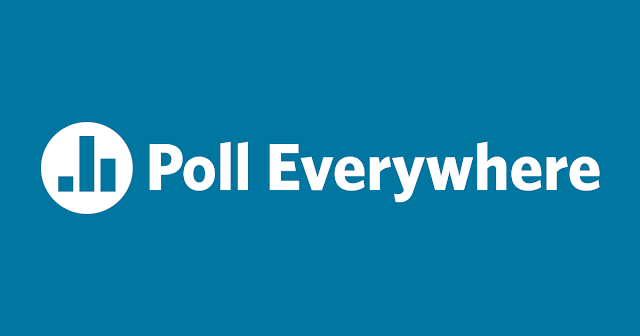 I love the apps and sites you mentioned and find that they can be very beneficial. 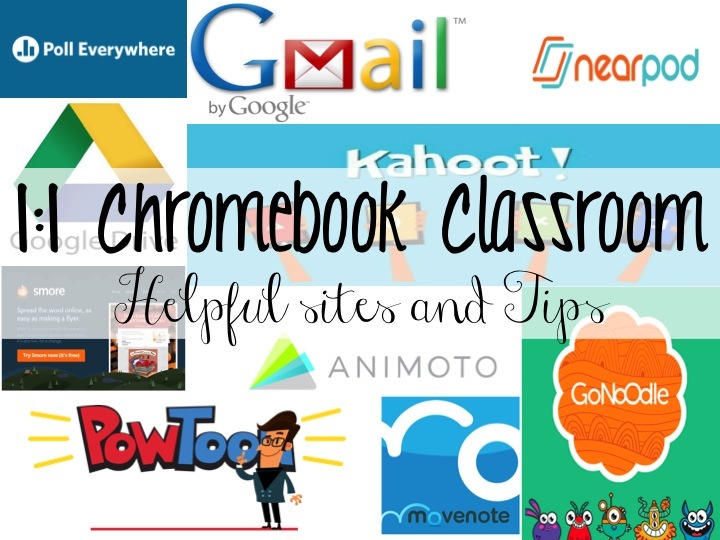 We currently have chromebook carts that we share from classroom to classroom; however, I can definitely utilize these sites when we block out time to use the chromebooks. I am very interested in your use of google apps specifically - I have used google docs previously and love how students can share when working on the same powerpoint, etc... I love how I can also provide commentary as they are working if they share with me. 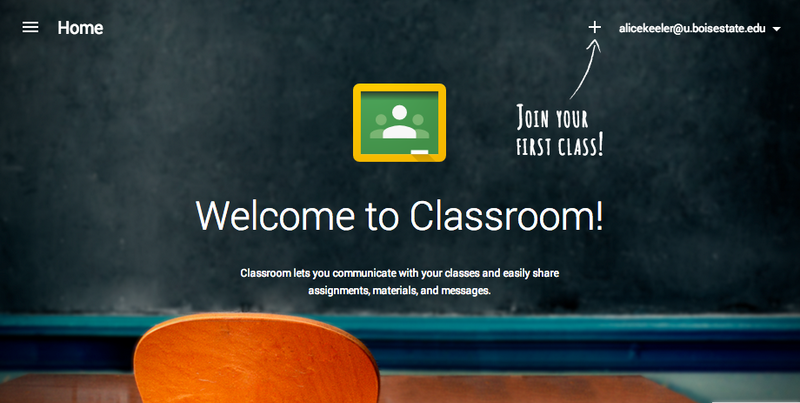 What is your experience with google classroom? Do you find it helpful? I think one of my biggest concerns would be over/under use of this great resource. I am sure there are times when not using chromebooks provides a deeper knowledge base than utilizing it - What has your experience been? Did you ever regret choosing to use the chromebook instead of doing paper/pen?